A few old friends and our biggest supporters over the years among the fan community have had early access to beta builds of Trucks & Trailers, helping us with testing. Among them Jarek from TruckPol, founder of one of the oldest message boards devoted to truck sim games. Good job. Thank You ! the truckstop is a bit bald but the rest is fantastic!! TruckPol is indeed greatest fansite ever. Thank for screens, Jarek! Please put this truck in the game, I'm in love with him and all of the Volkswagen brand. Sorry for my English, I used the google translator. SCS, when we will recieve a answer about ALH Patch?? SCS SOFTWARE PUT THE TRUCK VOLKSWAGEN CONSTELLATION PLEASE! 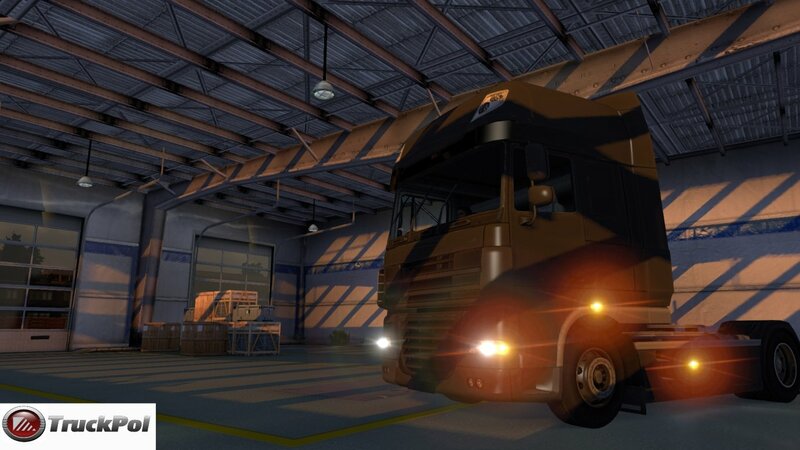 SCS software I haven't posted on this blog yet, but I wanted to say GOOD JOB on all te trucks, especially the attention to interior details. I mainly wanted to comment on the mirrors. Previous games couldn't accurately portray a driver's perspective of the mirrors.I drive a school bus in America so while I don't have a trucker's point of view, the mirrors on a bus aren't too different than that of a semi. I think you've come close to nailing it! Nice work! Thanks very much! But I still don't understand the problem with the brandings: It is a great way of advertising for the manufacturer so they should be glad someone uses the original brandings in such a nice game. @ SCS: Please explain why it is so difficult to get the permission for the original brandings! @ darlykappa: I have seen the "Majestic" branding! The environments are great, however the new rendering is a bit of a disappointment. Compared to the crisp graphics of GTS, the game is WAY too blurry, which is not an advantage if you have to manoeuvre your truck in small, confined spaces. akultar: what's not clear on goal of the game? It's a skill based game. 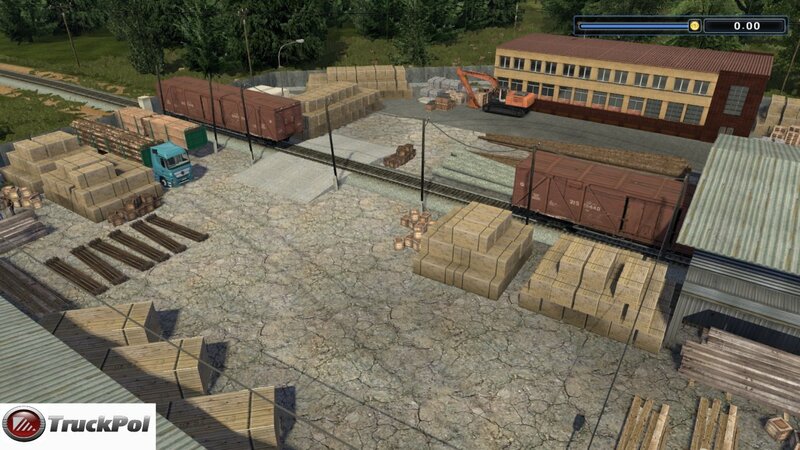 Almost every missions will be in style "take this trailer - be careful and quick, environment is full of obstacles - park trailer on marked spot". Multiplayer is nonsense in this game, space will be often too small for even one player. :-D But there will be online charts, so you can compete with other players. Greatt Work SCS!Well done!Greetings from Greece! Please, give us more news about ETS2. I fall in love with this object shadows. It's something fantastic, awsome. It's revolution! :P but traffic lights must go reformation. It still not gratifying. I know I'm going to boring but I must be. Very nice pics! THX! Fan from CZ! 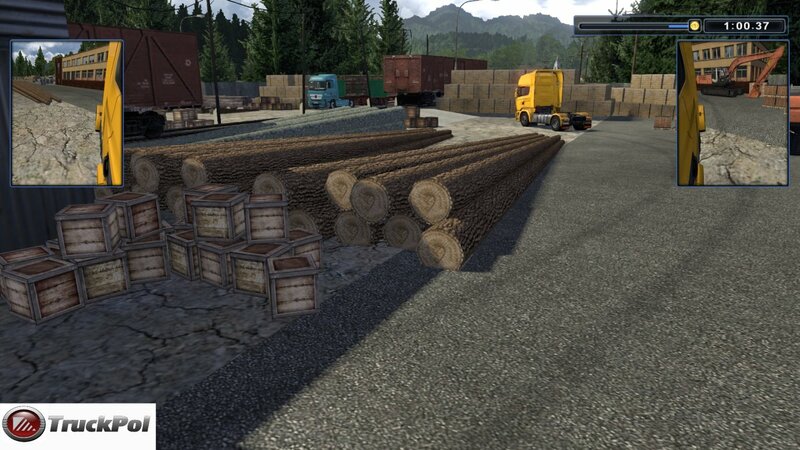 Nice screens, but I must ask ... why just truckpol to get the beta ? I am one of the 3dartpol administrators, and we are a very large and international fansite. We get no beta release. Make the train european not american please. No Right Hand Drive then ??? Well that will save me a few pounds...no chance of me buying it. 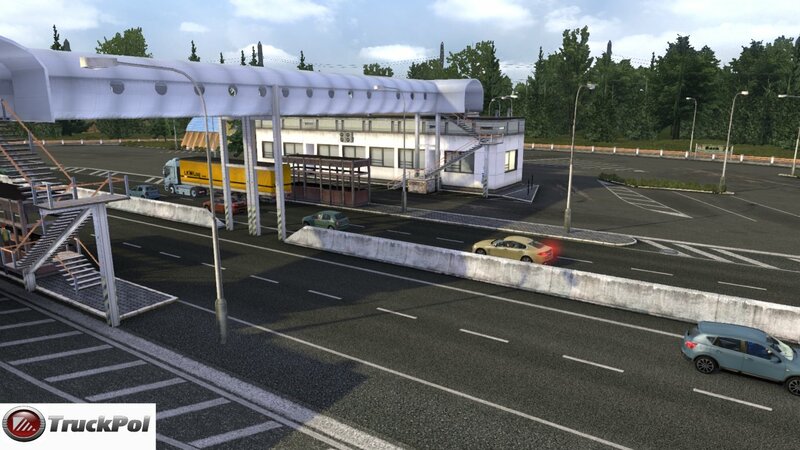 SCS for the European Community. UK is forgoten again.